W. Joseph Astarita is a traitor. 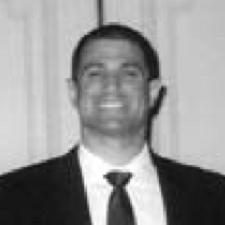 W. Joseph Astarita is a treasonous Federal Bureau of Investigation (FBI) agent. He was indicted on five felony charges after the inspector general of the U.S. Justice Department last year began investigating possible FBI criminal misconduct and whether there was a cover-up. Astarita said nothing during a brief court hearing and was released on his own recognizance, declining to comment as he left. “The actions of the FBI HRT (Hostage Rescue Team) in this case damage the integrity of the entire law enforcement profession, which makes me both disappointed and angry,” said Deschutes County Sheriff Shane Nelson, whose department investigated Finicum’s shooting. Oregon U.S. Attorney Billy Williams would neither confirm nor deny that up to four additional members of the FBI team are under investigation for making false statements. The FBI spokeswoman in Portland, Jennifer Adams, referred questions to headquarters in Washington, D.C., which did not return messages seeking comment. A grand jury indicted Astarita on making false statements to his FBI supervisors just after the shooting and obstruction of justice for misleading the Oregon State Police. A one-week jury trial is set for August 29, 2018. The obstruction charge carries a maximum penalty of 20 years in prison, while making a false statement could bring five years. Finicum’s widow, Jeanette Finicum, has said she plans to sue state police and the FBI, alleging the use of excessive force in her husband’s death. Dozens of people, including leader Ammon Bundy, occupied the remote Malheur National Wildlife Refuge from Jan. 2 to Feb. 11, 2016. They were allowed to come and go for several weeks as authorities acted like they were trying to avoid bloodshed as seen in past standoffs at Waco, Texas, and Ruby Ridge, Idaho. But authorities moved in January 26, 2016 when key standoff leaders left for a prearranged community meeting with government elected officials. The FBI was informed of this beforehand, and knew none of the standoff leaders and their passengers were armed before pulling over their two vehicles. Authorities say FBI agent Astarita fired two errant shots as Finicum left the truck. As Finicum then stood in the snow, two Oregon state troopers fired three rounds that hit him. It should be further noted that no hostage situation was ever involved, but the FBI sent in the (HRT) Hostage Rescue Team with this blood trusty traitor acting in his official opacity as a sniper. By the authorities own words, FBI agent Astarita fired two ‘errant’ shots as Finicum left the truck. By definition these shots were lawless and criminal, and still Astarita has never been charged with anything near the crime of attempted murder. The FBI agent indicted for allegedly lying about a pivotal moment during the 2016 Malheur National Wildlife Refuge occupation has hired a high-profile Washington D.C.-based attorney to defend him. Indicted FBI Hostage Rescue Team member W. Joseph Astarita has retained Robert Cary. Cary will serve as co-counsel in the Astarita case with Portland based attorneys David Angeli and Tyler Francis. Federal prosecutors have accused Astarita of lying to investigators about firing his gun during a traffic stop that left Malhuer occupation leader Robert “LaVoy” Finicum dead. Though neither of Astarita’s shots hit Finicum, prosecutors have charged the FBI agent with several felonies for allegedly failing to disclose them. Those charges include making false statements and obstruction of justice, but don’t include attempted murder or his criminal involvement in the murder assignation of Robert “LaVoy” Finicum. The FBI said Astarita is working in an “administrative capacity” with the agency, but has declined to discuss any additional details about the case. In other words, can you say protecting their own and government coverup? Well we can, especially right from the start when everyone of the FBI agents didn’t wear their body cameras along with informing the Oregon State Police officers to do the same. U.S. District Judge Robert E. Jones threw out two of the five charges against FBI agent W. Joseph Astarita accused of covering up that he fired two rifle shots at the truck of Oregon refuge occupation spokesman Robert “LaVoy” Finicum at a roadblock in January 2016. Judge Jones struck one count of making a false statement and one count of obstruction of justice against W. Joseph Astarita. The agent still faces three charges before his trial is scheduled to start: two other counts of making a false statement and one other count of obstruction of justice. At trial, Astarita, 41, is accused of two counts of making a false statement, alleging he lied to his immediate FBI supervisor “B.M.” at the scene and days later to FBI supervisor Tim Swanson when he told them he hadn’t shot his rifle. He also faces one count of obstruction of justice during his initial interview with two state police detectives. During the trial an investigators said, One shot struck the roof of the truck and the other went astray as Finicum stepped out of his truck, his hands in the air. Maloney argued that Astarita was the only officer who was standing in the spot where the bullet that struck Finicum’s roof could have come from, based on government expert Michael Haag’s analysis of the bullet’s path. Astarita, who took the stand denied firing his weapon during the incident — or recalling much of anything about where he had been positioned at the scene. The jury acquitted W. Joseph Astarita. This verdict comes at no surprise, for thanks to a corrupt federal judicial system the charges were for two fired shots, one bullet hole and a crime scene free of evidence which included the bullet casings. If that isn’t enough, Joseph Astarita was the only federal or state officer charged for committing any form of crime involving what is clearly a case of attempted murder that ended in the murder assignation of Robert LaVoy Finicum. CLICK HERE to read about the Oregon State Police (OSP) officer that murdered LaVoy Finicum. This entry was posted in Traitors and tagged FBI, Federal Bureau of Investigation, Joseph Astarita, Traitors, Treason, Treasonous, W. Joseph Astarita. Bookmark the permalink.